Mixing cocktails is a passion of mine. It’s a passion that requires both time and attention to detail. It’s these very reasons that it isn’t for everyone. Not everyone wants to go out and spend “x” amount of dollars on 5-10 ingredients to make one 6-8 oz cocktail. Then, besides the ingredients, you need the right tools and measuring devices. Take the often ordered “mojito” cocktail. Do you casually keep sprigs of mint in your cabinet? How about a muddler in your kitchen? For these very simple reasons liquor companies are investing a lot into “Ready-to-Drink” cocktails, or RTD for short. And for your convenience they come in all shapes and sizes. Traditionally prepared in a bottle, you can now go to your local grocer and find them in bottles, cans, boxes, and even little pouches that look more like something you would pack away in your childs lunchbox. Margaritas have long been known as the most popular pre made cocktail sold on the market but over the last few years you can find just about anything you would commonly order at your local bar and tavern in a ready to drink bottle on the shelf. Mojitos, Long Island Ice Tea, Bellinis, Cosmopolitans, Mudslides, Hurricanes just to name a few are popping up everywhere and not with just one or two brands to choose from. 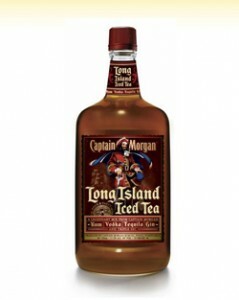 Captain Morgan, Southern Comfort, Malibu, Seagram’s have all recently hit the market with new and interesting takes on some of your favorites. 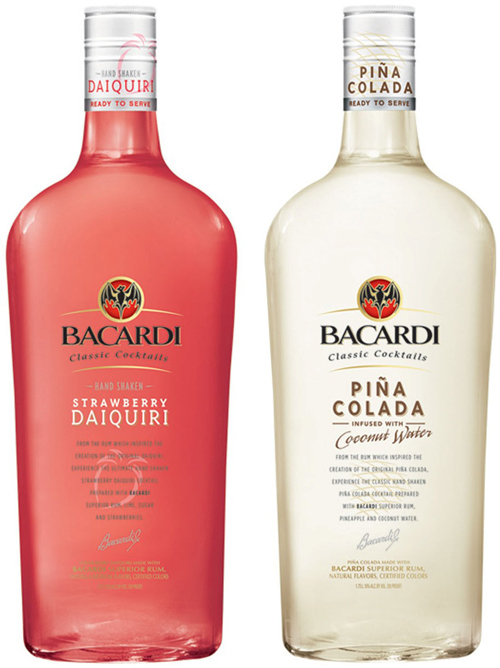 Bacardi, a company that has long had a large market share on the RTD industry with its many tropical pre-mades have just introduced two new products as well, the Strawberry Daiquiri and the Pina Colada. Dailys brand, most known for their non alcoholic mixers also has a plethora of products to choose from including pre-made margaritas, mojitos, and daiquiri’s in boxes or bottles for your convenience. Personally, I usually prefer to avoid the ready to drink route. Besides losing the creativity aspect of drinking, most ready to drink cocktails lack authenticity. They often come off sweeter in flavor, and weaker in alcohol content. Perfect for the lightweight drinker that just wants to taste something exotic, or socializer that would like to spend more time mingling and networking than mixing drinks behind the counter. Below I’ve listed a few new or interesting products on the market that you might want to give a try.